This weekend was the first without Colorado Avalanche hockey since September, and there was an emptiness felt by Avalanche fans as all the “what-ifs” and “if-only’s” run rampant as they watch the remainder of the 2018 Stanley Cup Playoffs. 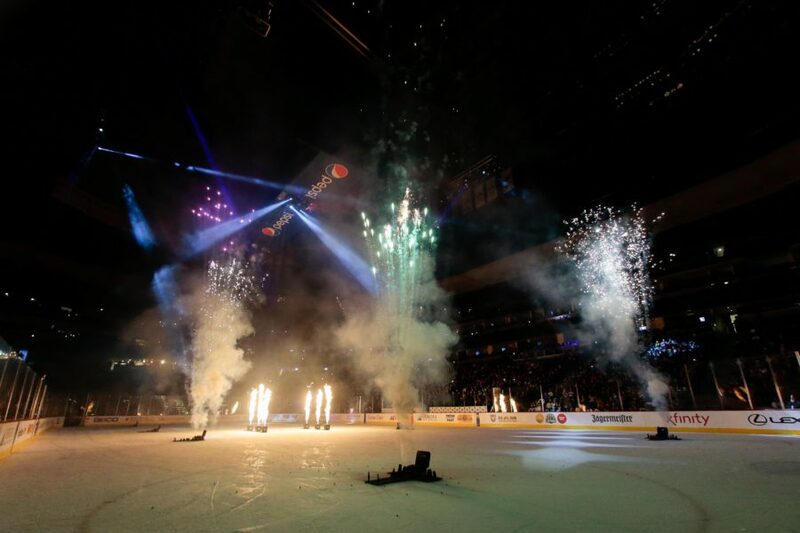 After the disappointment of elimination meets the pride felt for the team accomplishing what they had, it is now safe to look back at the year that was and examine some of the historic moments that contributed to the success of the Avs’ season, and made the 2017-18 season one to remember. 2. Reto Berra — 19 saves, .950 save pct. Why? The season was young, the Avalanche were sitting at 3-1-0 and were looking for their third consecutive win. The team was out to prove that they weren’t going to be the laughing stock of the league and they were doing it against an opponent they hadn’t beat in their last four tries. 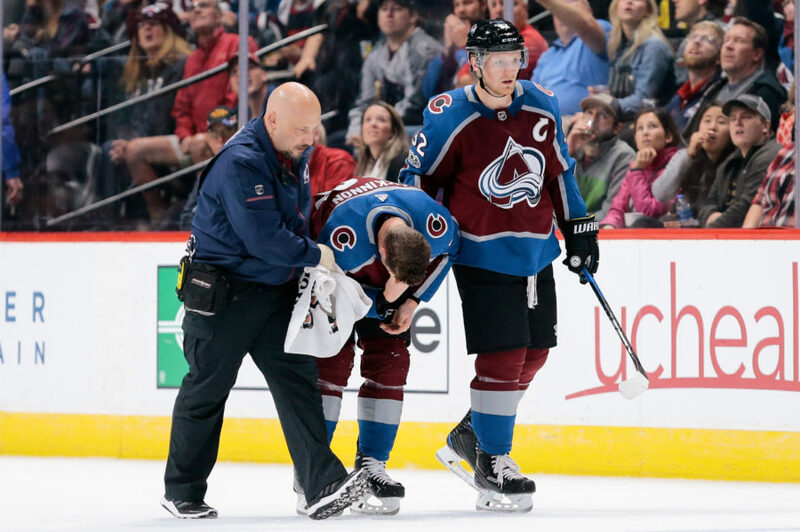 Nathan MacKinnon left the game early after taking a stick to the eye and Colorado had to get the job done without its best player. 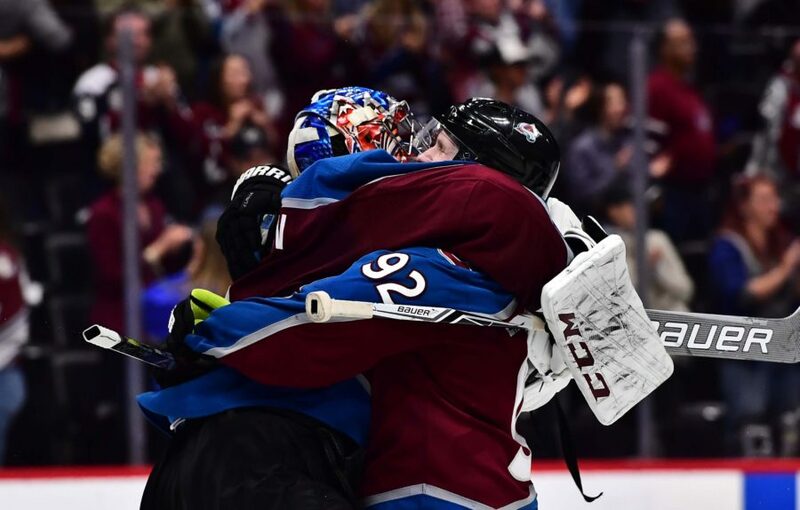 With just over five minutes left in the third period, Tyson Barrie buried the game-winner and newly acquired free agent Jonathan Bernier recorded his first win in an Avs sweater — assuring us that the offseason acquisition was a legitimate move. Why? First of all, who doesn’t love a good New Year’s Eve at Pepsi Center? Secondly, the last time the teams met was the day Matt Duchene awkwardly left the ice following the blockbuster trade that shook the hockey world. The awkwardly structured Barclay’s Center and the unusual locker room placement magnified Duchene’s bizarre exit. If it wasn’t for two garbage-time goals from Alex Kerfoot, the score would have looked worse as the Avs lost the game 6-4. On New Year’s Eve, Colorado had a chance at redemption, and proved that the Islanders were fortunate to catch them on such a strange night in their history the first time around. 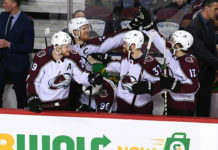 The Avalanche went up 5-0 by mid-second period, ultimately winning 6-1. The game made a statement that the Avalanche, who had floated around .500 up until then, were ready to get hot. This game marked the second win of their ten-game win streak and was a confidence-builder. Why? It was the third win of the ten-game win streak and the Avalanche were getting heavily outshot. Shortly after the Avs miraculously gave themselves a 2-0 lead, Semyon Varlamov pulled himself due to an injury that would keep him out for the next 11 games. The Avalanche warded off Winnipeg’s third-period push, but Blake Wheeler’s two third-period goals, including one with 33 seconds to go, sent the game to overtime. 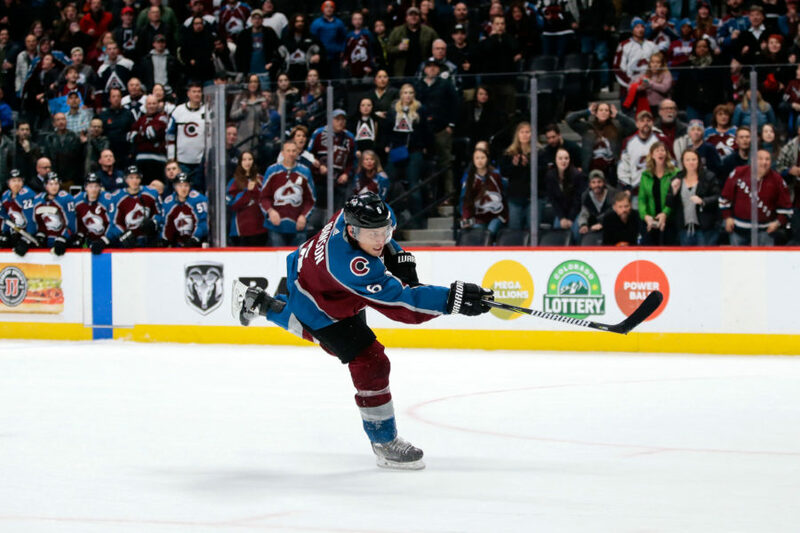 All momentum was lost and the shock of Varlamov’s injury may have dampened confidence a bit, but the Avalanche rallied and showed their character — as they continued to do throughout the season. Erik Johnson found himself on a breakaway in overtime and he shot from the hashmarks, beating Connor Hellebuyck — one of this year’s Vezina finalists — and showing the resilience his team had as they continued to fight their way up the standings. Why? The energy in the building had an early spark as the sellout crowd was buzzing from the Milan Hejduk retirement ceremony. 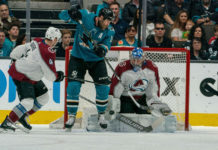 The goaltending was strong for the Avalanche and the offense was potent in the second of three games in which Colorado would score seven goals this season. The power-play was a major component in the win with Carl Soderberg scoring twice and Nathan MacKinnon adding one of his own with the man advantage. 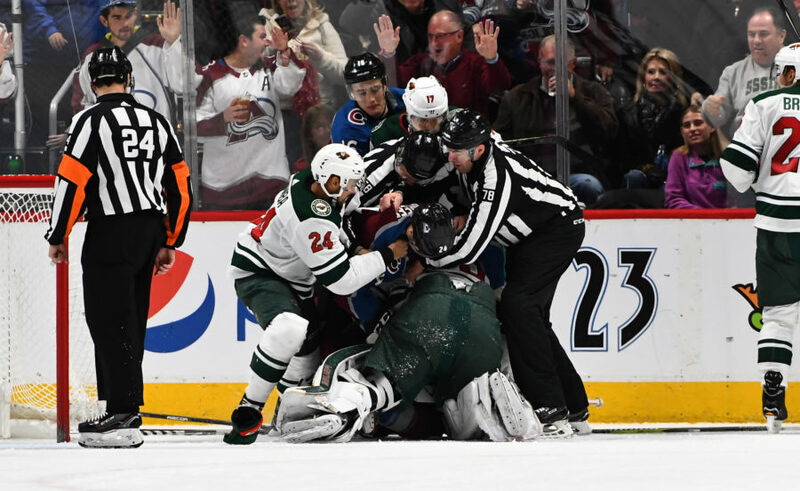 The bombardment of Avs goals led to Devan Dubnyk getting pulled and Colorado was able to beat the Wild once more in an atmosphere that indicated the rivalry between the two was as alive as ever. 2. Marc Andre-Fleury — 29 saves, .967 save pct. 1. Semyon Varlamov — 39 save, .975 save pct. Why? The previous time the two teams met was an embarrassment for Colorado. It was the worst loss of the season from early on in the schedule, but Colorado hadn’t forgotten the 7-0 loss in Vegas. 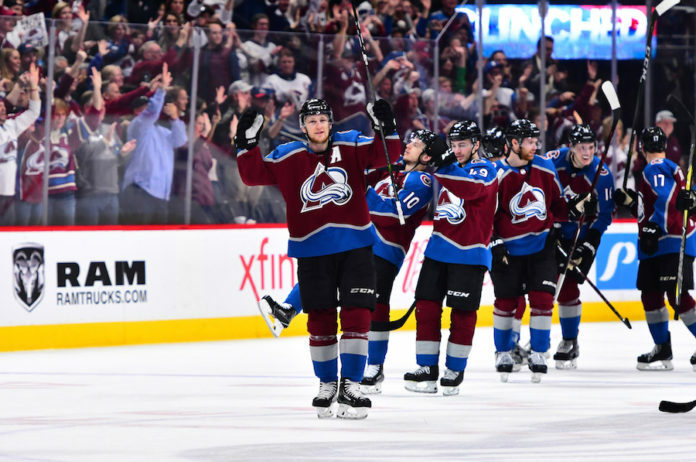 The Avalanche were officially looking to prove themselves as a legitimate playoff contender and they were up against one of the most exciting teams in the league. Speed was certainly on display from both sides as there was constant end-to-end action, but the show, much like many of the goals, was stolen by netminders Marc Andre-Fleury and Semyon Varlamov. The energy from the high-paced, back-and-forth game was matched by a crowd that was focused during play and made a ruckus after every whistle in hopes to propel the home team over this difficult hump. The game ended in the third and final shootout of the year for the Avs — tied for least in the league. Gabe Landeskog would be the hero, scoring Colorado’s third and final shootout goal as Varlamov saved all three of Vegas’ attempts. Quote of the night: Semyon Varlamov — “I feel pretty good. What can I say? I’m going to feel even better if we make the playoffs. That’s why we’re here, we want to make the playoffs. That’s why we’re battling every game. 3. Jonathan Bernier — 32 saves, .941 save pct. Why? 82 games. It took the Avalanche all 82 to complete the turnaround from the disaster of the prior year. A team that was on a mission to prove to the world that they made 180-degree turn and, along with the entirety of the organization, were heading in the right direction. Not to mention the added drama of St. Louis fighting for the exact same playoff spot. Unfortunately for the Blues, though, the Avalanche were on home ice, where they would finish the season tying a franchise record with 28 wins. 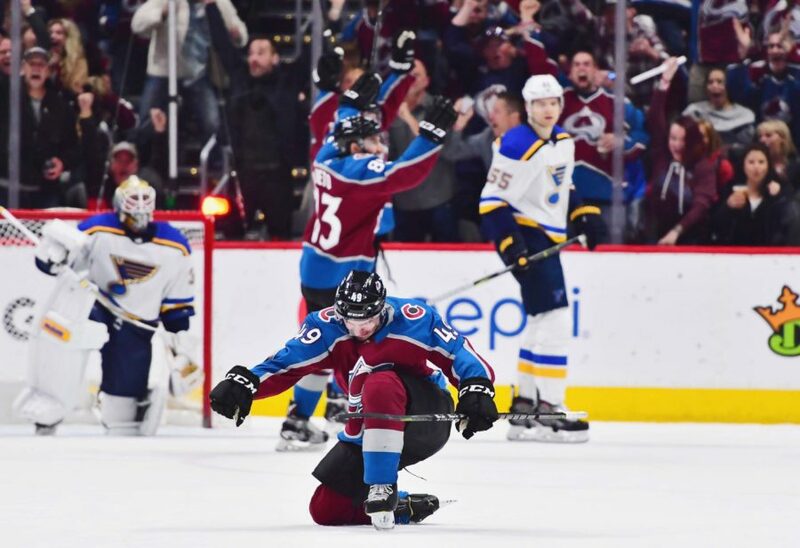 The Avs pounced early when Sam Girard put one behind St. Louis’ Jake Allen and suddenly, we saw a side of Girard we had yet to see in Colorado. Girard, usually emotionless on the ice, threw out a powerful celebration, outwardly showing excitement and energy that the team would feed off as they controlled the remainder of the win. The team had successfully completed one of the most drastic turnarounds in sports and officially punched their ticket into the postseason… after no one thought they would even get close. What a year.